ACCU was reviewed by SGS on 11st and 12nd December, 2017. ISO9001: 2015 is the audit standard of this review. ACCU paid high attention to the quality system change, and built a special team in June to learn the new version system. ACCU used two months to change the quality system documents independently, and have organized an internal audit after a three-month trial period, prepared for the external audit. SGS random checked marketing department, R&D department, production department, H&R department and quality control department. External auditor admired ACCU’s attitude to boost the system change and also gave some suggestions for several items to run well. 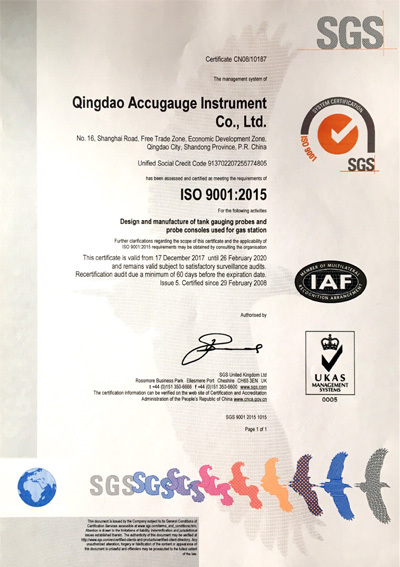 Ultimately, ACCU successfully passed the quality system review, and the certification remain valid.